London and Paris, June 28th, 2018– Odysseus Investments (”Odysseus”), the venture capital and private equity arm of Reech Corporations Group (”Reech”) and Seed Founders, a technology investment company established by influential InsureTech investor Minh Q.Tran, today announce they are joining forces to create an innovative new framework which will allow investors to achieve scale exposure to a range of traditional, alternative and tech venture capital assets. 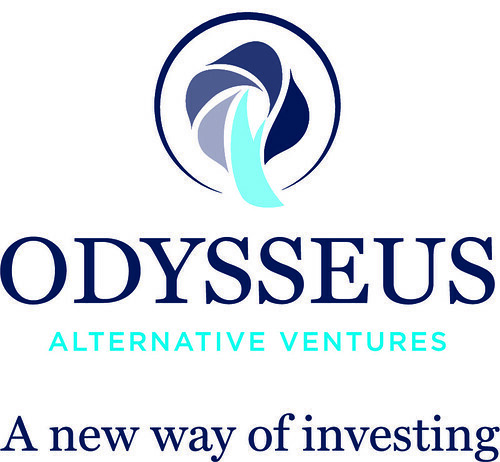 Odysseus Alternative Ventures (”OAV”), will be majority owned by Reech Corporations Group via Odysseus Investments with Seed Founders owning the remainder. It has been structured to appeal to managers of both family wealth and institutional funds who are looking for the ability to invest at scale in both real and alternative assets, while gaining meaningful exposure to the potential of start-ups seeking to disrupt traditional players in those same sectors. Odysseus Investments and Seed Founders recently established PropTech Capital, the first dedicated European fund to invest in technology companies that positively impact the property environment, either through business model or product innovation. Odysseus Alternative Ventures is the next logical stage of that collaboration. Minh Q. Tran, Founding Partner of Seed Founders, enjoys a strong reputation in Insurtech investing, with a particular focus on early stage startups. He has also founded Insurtech Capital, a dedicated special purpose vehicle for (Re)insurance companies investing in startups. He is the founder of AXA Seed Factory, and served as General Partner at AXA Strategic Ventures. Minh also sits on the Boards of a number of Insurtech and PropTech start-ups. Minh Tran will be Managing Partner and CEO of Odysseus Alternative Ventures, with Christophe Reech as Chairman of the new Company. Odysseus is contributing its experience in creating and nurturing businesses in the financial and technology sectors, as well as the entrepreneurial, capital markets and real estate expertise of the wider Reech Corporations Group. This is the latest in a series of initiatives as Odysseus seeks to build a unique position as a scale player in alternative assets and disruptive finance and technology. As part of the transaction, Odysseus will inject its current portfolio of five early-stage finTech investments into the new joint venture, while Seed Founders will contribute its existing InsureTech and WealthTech assets. The new structure will be based in Luxembourg, with operating bases in London, Paris, Zurich and Luxembourg, and will consist of a family of specialist venture capital funds investing alongside a parallel series of funds focusing on the relevant underlying assets. OAV will start life with an existing porfolio of investee companies which it aims to rapidly augment with the new opportunities that will open up once the networks of the two founders are successfully combined. Seed Founders is a global VC-as-a service technology management firm focused on accelerating the growth of sustainable innovation in evolving asset management sectors, through its deep global expertise and large entrepreneur networks. Seed Founders sources global venture opportunities in early-stage and (co-)invests in technology startups by providing investee companies with global strategic insights while giving investors access into new Fintech, PropTech and Insurtech technologies.